Over the weekend, we stayed at a cabin overlooking Lake McPherson, and water problems aside, it was a nice place to stay and very quiet. 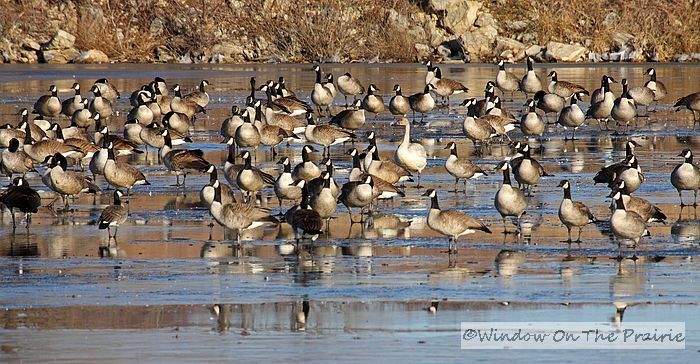 Saturday afternoon, I went for a short walk and saw a flock of Canada Geese resting on the ice. 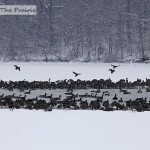 I always marvel how they can stand on the ice or swim in the fridgid water without getting hypothermia. I did a little research and found tht the veins and arteries in duck feet run very close together. As the cooler blood in a duck’s veins runs up the duck’s leg, it gathers heat from the warmer arterial blood, and so by the time the arterial blood gets to a duck’s feet, it is cooled down. This causes a duck’s feet to run cooler in temperature, and not lose as much heat and you or I would in cold water. 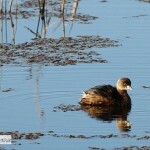 Also, a duck has soft downy feathers close to its skin that hold in a layer if heated air. Ducks also have a special oil gland and when they preen, they spread that oil evenly over their outer feathers, making them virtually waterproof. So having cold feet and wearing waterproof raincoats is their secret to staying warm on the ice. 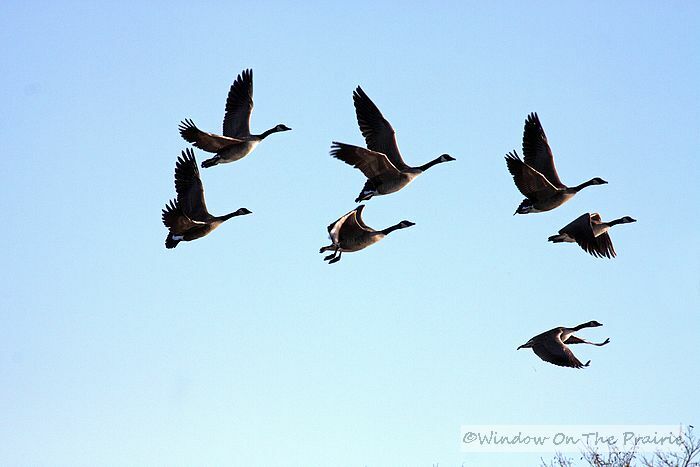 And while Canada Geese look kinda clumsy on the ground or ice, they are beautiful in flight. 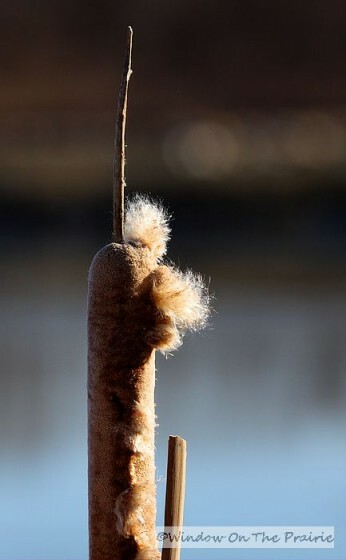 While at the lake, I also saw some fluffy cattails. When I was a kid, I used to pull off the fluff and watch it fly away on the breeze. Native Americans had a better use for the fluff by using it to stuff bedding and as a burn dressing. They also used the roots as a food source, in a poultice to dress wounds, and in treatments of kidney stones. The leaves and stalks were used to make mats and baskets and served as a roofing material. All this thriftiness puts my wasteful childhood fluff-flying to shame. 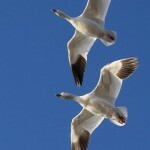 As I peered through the lens of my camera at the geese, I noticed one of the geese didn’t look quite right. You remember those exercises from grammar school where you had to point out which object in a group didn’t belong with the others? Well, look just to the right of center in the pic below. See the large white bird with the grey head? That’s not a Canada Goose. In fact, it’s not a goose at all. It’s a Tundra Swan, and boy is he lost. Check out the migration path (in yellow) on this map. Hopefully he’ll stay with the Canada Geese and meet up with other Tundra Swans on the trip back to northern Canada in the spring. Oh, I don’t think the swan is lost. I think he just took a small detour. Now, if he was in Texas……..
You lucky girl to see so much loveliness in your home state. And, you appreciate it. 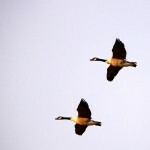 Lovely photos of the geese flying. 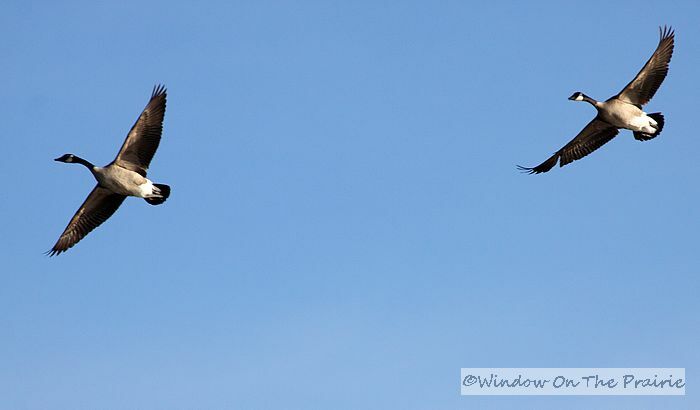 I love it every day, spring thru fall, when they fly directly over my house. Often get to see babies in the spring. 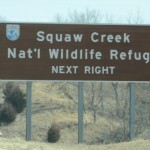 They quite often stop the traffic while crossing the road about half a mile from here. Some times even see them in the winter. 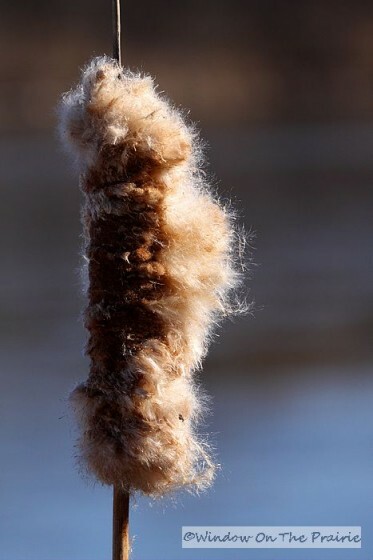 Can’t handle the cute fluffy cattails….make my sinuses go nuts! 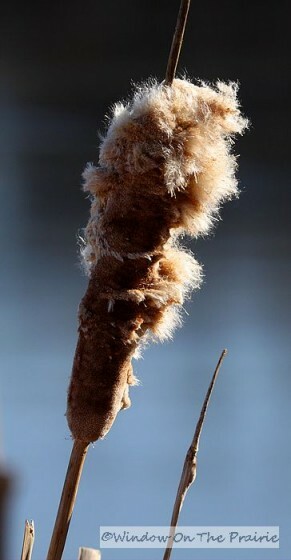 Just before the cattails go to fluff, a yellow pollen coats the tail. Shake this into a container, strain the dust and fibers out. Add it to biscuit flour for a buttery flavor. I enjoyed your information and photos. 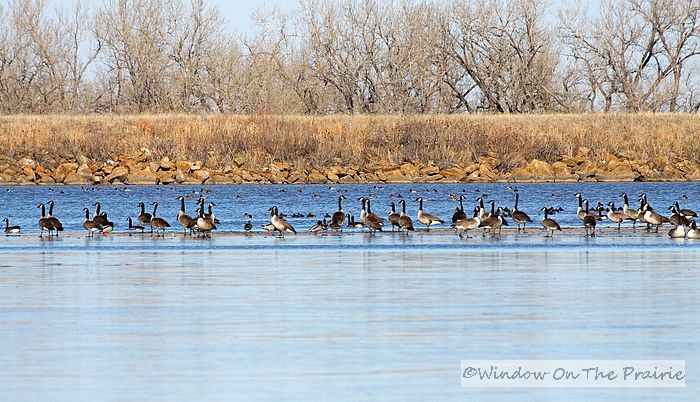 I have been seeing groups of geese fly around here in Nebraska. We live near some places where there is water for them. I took some photos the other day. I forgot to see how they turned out.